Western Horseman Magazine. World's Leading Horse Magazine Since 1936. An invaluable resource for generations of North American horsemen. Quarter Horse News. The News Magazine of the Performance Industry Since 1978. Published twice a month and covers cutting, reining, pleasure, halter, roping and rodeo disciplines. The Working Horse. A Monthly Publication for the Performance Horse and Rider since 1997. Hancock Super Stars; a Directory of today's "hot Hancocks!" A tribute to modern day Hancock horses who are carrying on the tradition of excellence in performace areas. 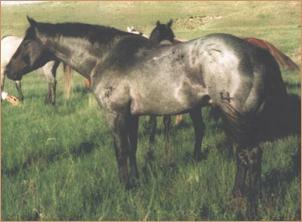 These featured horses demonstrate that Hancocks hold their own with any QH performance bloodline. Website References: Horse Graphics gathered from the internet to use as your icons or avatars when you post in forum boards. Free Printable Blank Pedigree form and Directions for printing with or without background (background has HancockHorses.com official logo watermark). Try Dropbox, a free online storage service. You can download the little program, and from then on store your important data (horse records, files, photos etc) in the Dropbox file on your computer. Everytime you add something in the Dropbox, it automatically syncs & uploads it to your free Dropbox online storage account. If you ever have a computer crash, or loss of data, just go to your Dropbox account online and there is all your saved data. Free and easy. Once it is downloaded, you never think about it again. Try 123rf.com ~ professional royalty free photos and graphics, ready to download and use for your projects. Pennies per pic. GiddyUpFlix ~ like Netflix, only is a library of horse and training videos, based out of Washington state. To submit your favorite Hancock Horse link for inclusion on this page, email today. HancockHorses.com occasionally posts information from internet public domain areas. or if you want something of yours posted here to be removed, just let us know. "A man's got to have a code, a creed to live by, no matter his job."